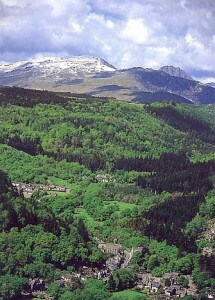 There can be few tourist destinations in the world like the Betws y Coed Region. This is a pretty bold claim but let’s look at the evidence. Not only is the region spectacularly naturally beautiful as you would expect from a Snowdonia National Park town, with its forests, secluded lakes, sparkling waterfalls, meandering rivers and mountains. But the central North Wales location ensures that practically whatever you wish from a holiday break, Betws-y-Coed should be able to cater for your needs. Not only does Betws-y-Coed have its own railway station but it is positioned at the intersection of the A5 and A470 ensuring ease of motor travel to all parts of the Snowdonia and North Wales. 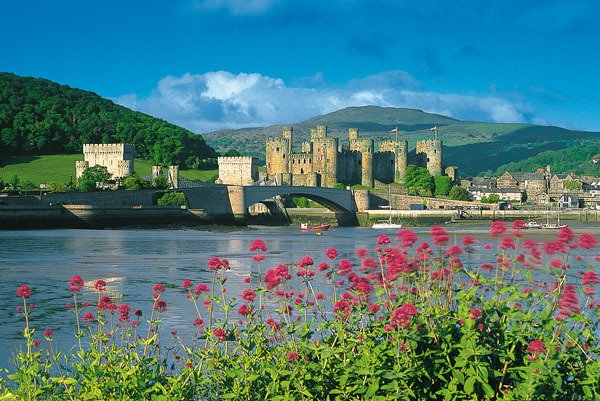 On such trips you are bound to see evidence of North Wales’ past with its dramatic castles such as Conwy Castle (18miles from Betws-y-Coed) and its old churches such as the beautiful 14th century, St Michael’s Church which is the oldest building in Betws-y-Coed. Betws-y-Coed has a long history of welcoming visitors, starting with the mail coach stopovers and then expanding to cater for the Victorian early tourists that flocked to Betws-y-Coed after they had viewed the paintings produced by the Betws-y-Coed Artists’ Colony in 1844 that were displayed throughout the country. 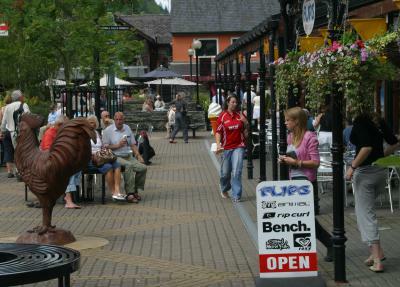 Betws-y-Coed hosts the Snowdonia Arts Festival in October. If it’s activity you are wanting then you will have come to the right place as the area hosts a wide range of outdoor activities. 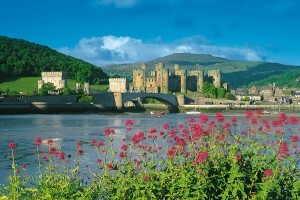 Conwy is the Active Capital of Wales. 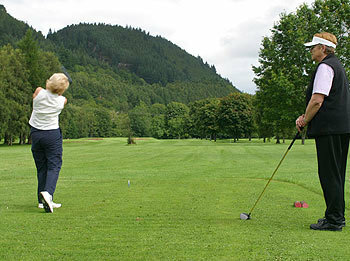 Betws-y-Coed has its own golf club and there are half a dozen more golf clubs within a short drive. Maybe you fancy something a little more sedate: then how about a stroll along one of the at least 15 beaches that are within driving distance of Betws-y-Coed including the magnificent curved bay beach at Llandudno (19 miles from Betws-y-Coed). Whatever the season a trip to Bodnant Garden is always a delight (15 miles from Betws-y-Coed). See the activities section to get more ideas. should miss the chance to stop during the day for a cuppa and a cake in one of the many cafes that Betws-y-Coed is famous for. See eating section. No tourist destination could manage without an excellent range of accommodation. Betws-y-Coed and the surrounding towns and villages certainly have plenty of choice. Whether you require a small traditional bed and breakfast B&B, a boutique guesthouse, a cosy cottage for your self-catering needs, bunkhouses providing an economic option, or what about one of the historic hotels. If you are looking for Betws-y-Coed tourist information such as Betws-y-Coed Accommodation, activities, attractions, eating out suggestions, short break details, and special offers, why not sign up for our Betws-y-Coed newsletter. This website is just one of the ways in which we can inform you how great a place the Betws-y-Coed Region is to visit, what you can see and do and what is happening through the year. We would also like to be able to stay in touch via our regular newsletter, Twitter and Facebook in order that we can provide the latest news and any special offers. So depending on your preference please consider joining us using one of the links on this page.